Wherever women seek to establish themselves the mountain is twice as hard to climb. Music is no exception. It is a travesty that any artist—poets, painters, sculptors or musicians—should not be endowed enough to produce their art. But then it is a societal problem, worldwide, when commerce trumps art. The artist is then abandoned, is left bereft of funds and must become conspiratorial; a guerilla with no friends but concrete jungles and desolate, mountainous skyscrapers inhabited by sexist misogynists. And so the artist is left with no choice but to turn against the very society into which he was born, in order to survive; resort to necessary any and every stratagem; even subterfuge in order to make his art known to the community within which and for whom the art has been produced in the first place. If this is hard enough for men, consider how much harder it must be for women. Of course there is Kickstarter. But the greater more edifying adventure surely is to establish a label of his or her own. Honorable mention here goes to the ineffable bassist, Mimi Jones who has founded Hot-Tone Music, a label that produces incredible, soul-stirring music. Leadership comes from the front at Hot-Tone. Mimi Jones is not only an entrepreneur here, but also an artist of immense talent, whose technical resources and imagination seem boundless. Her album, Balance is a startling reflection of this. And while Ms. Jones’ is first a musician and then a bassist and vocalist, she is first a woman; not a feminist-musician just a musician who happens to be a woman. The distinction is all too necessary because of the nature of her music. It is a balance between sensuality and muscularity ensconced in the delicate sound of thunder. The yin and yang of her music incorporates dispassionate masculinity melded with into a fluttering womanist. She may not know it and not care if she is this: a woman who has been made in the quintessential spirit of the great bassist from New Orleans, Alcide “Slowdrag” Pavageau. 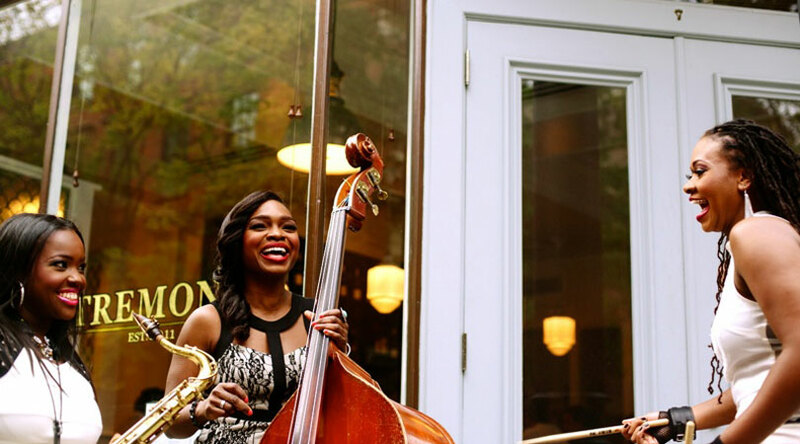 The chart, “Everybody Loves The Sunshine” provides a fine example of Mimi Jones’ incredible ability to stretch a melody; to endow it with soaring melismatic harmony and turn out a hypnotic rhythm. Her record, Balance is replete with such fine music. Track List: Nothing Like You; Traveler; Speedbump; The Incy Wincy Spider; The Spinning Tree; Patriot; Someone Like You; To Be; The Edge of a Circle; Everyone Loves The Sunshine; Junk Funk; Dream. 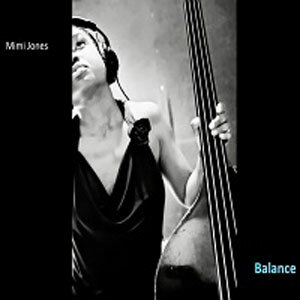 Personnel: Mimi Jones: bass, vocals; Ingrid Jensen: trumpet; Camille Thurman: flute, vocals; Luis Perdomo: piano; Wurlitzer, Rhodes, Moog; Enoch Smith, Jr.: piano; Miki Hayama: piano; Wurlitzer, Rhodes; Marvin Sewell: guitar, piano; Sean Harkness: guitars; Shirazette Tinnin: drums, percussion; Justin Faulkner: drums; Mala Waldron: vocals.